Built by King Bhupatindra Malla in 1754, the stunning 55 Window Palace in one of the Kathmandu Valley’s most iconic landmarks and a destination for travelers venturing to the famed Bhaktapur Dubar Square. Although locals are quick to talk about an earthquake that devastated and destroyed much of the original structure—and in fact kept the palace closed to the public for some 22 years—visitors will today find the impressive structure mostly-open thanks to a Rs. 2.18 billion renovation and truly worthy of a visit. Visitors can explore the incredible collection of ancient statues tucked among the remarkable architecture of the 55 Window Palace, which includes a 10-armed representation of the goddess Taleju Bhawani. Travelers should wander along the Golden Gate and journey into one of the former courtyards as well during a visit to this beautiful place. The palace is located at the center of Bhaktapur Dubar Square. Entrance to the palace is included in the cost of a ticket to Bhaktapur, but travelers will need to pay 100 rupees to enter the museum. Travel with a knowledgeable guide on a half-day tour to Bhaktapur, an intriguing medieval city in the Kathmandu Valley. Once belonging to the Newar kingdom, the former capital of Nepal features ancient temples, palaces and artworks. Stroll the narrow pedestrian streets to Bhaktapur Durbar Square, a UNESCO World Heritage site situated in front of the royal palace. Explore the city's traditional neighborhoods, Nyatapola Temple, and Dattatreya Temple, with round-trip transport from Kathmandu. Explore three UNESCO World Heritage Sites near Kathamndu on a private full-day tour with your own personal guide. Learn about Nepal's culture, religions, and architecure as you visit Kathmandu Durbar Square, Patan Durbar Square, and Bhaktapur Durbar Square. Take in stunning temples, palaces, and carvings in wood and stone that were crafted by Newar artisans several centuries ago, and hear how the 2015 earthquake affected the region. Includes private guide and vehicle, entrance fees, and hotel pickup and drop-off in Kathmandu Valley. Take the hassle out of getting out into the mountains to witness a Himalayan sunrise on a day tour. Nagarkot is renowned as one of the best places around Kathmandu for mountain views. Be collected early from your hotel to make it in time for sunrise. Enjoy the views at your leisure. 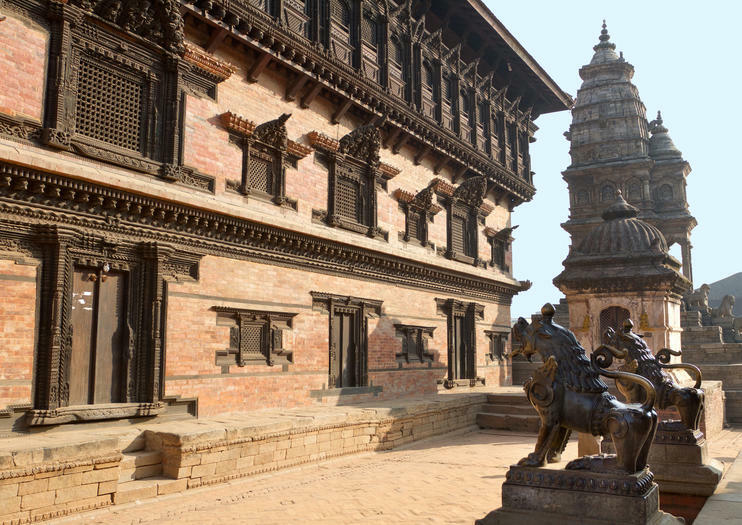 This private tour also conveniently visits Bhaktapur, a town full of traditional culture and UNESCO World Heritage-listed monuments. Escape the beaten path and the Kathmandu crowds without so much as touching the wheel on this private door-to-door tour of less-visited spots in the Kathmandu Valley. Start in the medieval city of Bhaktapur, a UNESCO World Heritage site, visit ancient Changu Narayan Temple, see the 143-foot (44-meter) Kailashnath Mahadev statue, and tour the charming riverside town of Panauti. Discover the best that Kathmandu has to offer on a private tour it is main highlights. Visit UNESCO World Heritage Sites such as Boudhanath Stupa, Pashupatinath Temple, and Bhaktapur Durbar Square and learn about the history, culture, and religion of Nepal from your tour guide. This private tour is inclusive of all entrance tickets, private vehicle, and a tour guide.